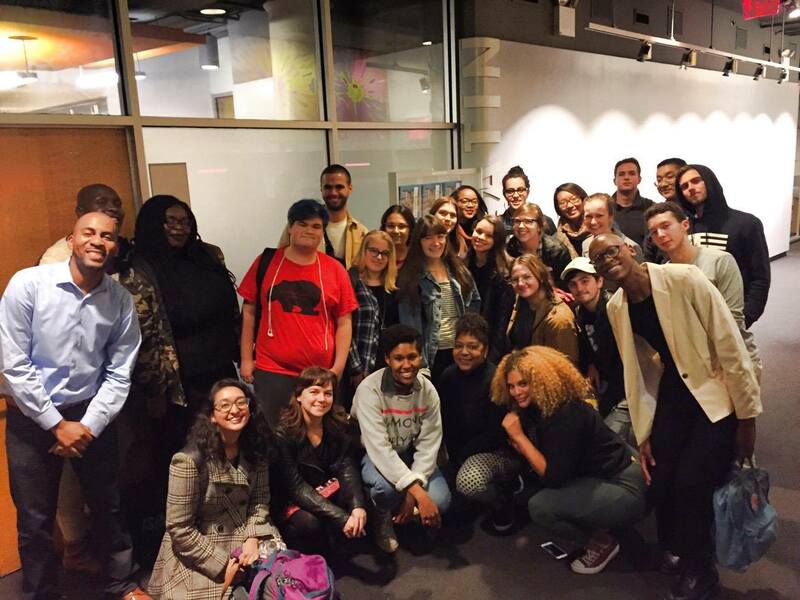 MenuHome BLM Professor Black Lives Matter Syllabus	-2016 Fall Syllabus -2015 Fall Syllabus -#FORMATION: BLM SUMMER 2016 -Baldwin/Malcolm Syllabus Teach-In Tour. Press & Clips. 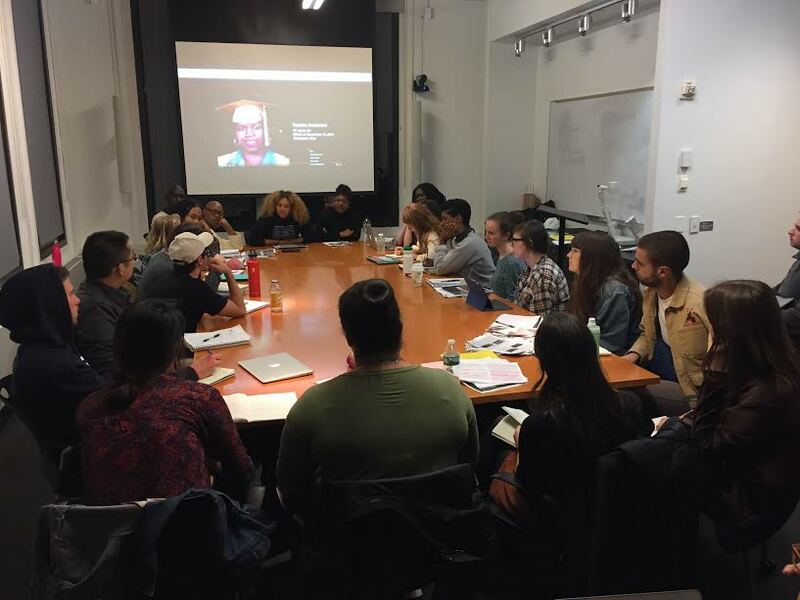 Students in NYU’s Black Lives Matter Seminar were joined by two of the brilliant organizers of the African American Policy Forum: Cherrell Brown (AAPF Director of Community Engagement) and Abby Dobson (AAPF 2016-2017 Artist-in-Residence). 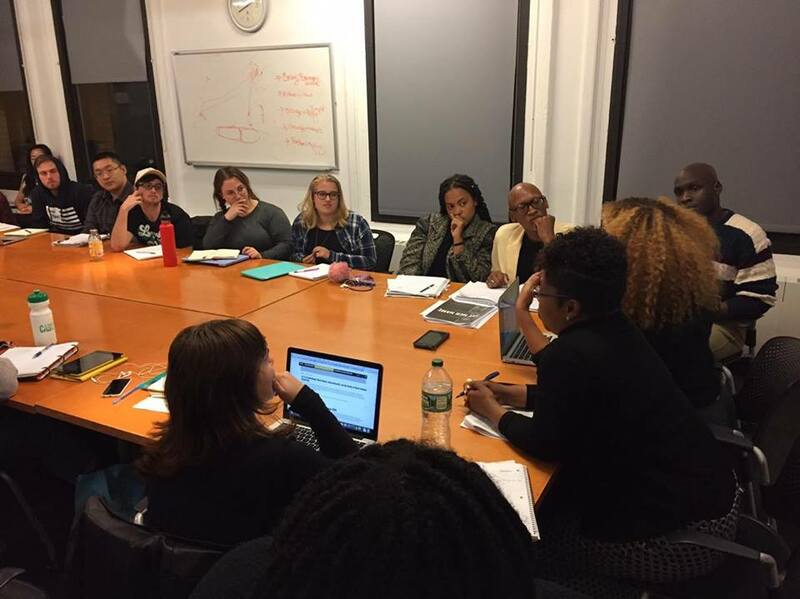 The African American Policy Forum was founded in 1996 by pioneering black feminist legal theorist, Kimberle Williams Crenshaw. 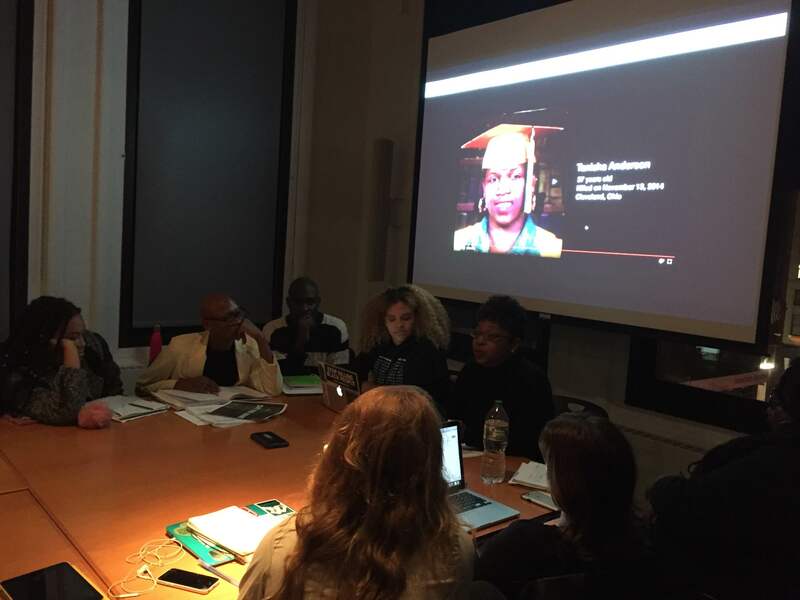 In 2015, AAPF created #SayHerName—-a national mobilizing campaign that highlights the unique ways that black women are prone to police and state violence. Learn more about AAPF’s landmark report, Say Her Name: Black Women Resisting Police Violence. ← Previous Story A Look Back at Our Semester. Next Story → It Is Our Duty To Win. Copyright © 2017 Frank Leon Roberts.